We are not a boarding kennel per se, and accept only a few Bed-and-Breakfast guests. Therefore, our boarders receive a lot of individual attention and observation. Special play-time can be arranged. We frequently have cats who require medications such as insulin. 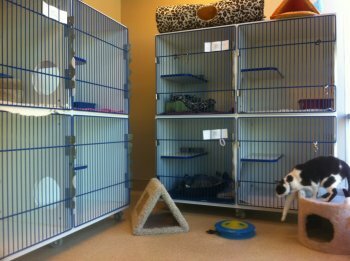 Your cat(s) can get medical stay exams and will be housed in spacious comfortable quarters with a totally indoor climate controlled environment. The boarders are monitored 7 days a week. 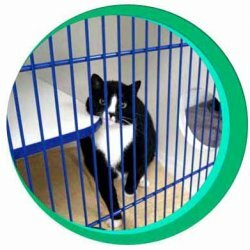 We also offer medical stays for cats requiring special treatment or medication for chronic diseases. Please let the nurse know if you would like your cat bathed during his or her stay. This is a good time to take care of semi-annual wellness exams, vaccinations, and dental cleanings too!